Wanting to innovate the way that they communicated with their stakeholders, customers and colleagues, one of Shropshire and Staffordshire’s largest housing providers, Housing Plus Group, turned to The Web Orchard for assistance. Traditionally providing a paper-based annual report, Housing Plus Group wanted to publish the documentation online in a creative, interactive way. Increasing accessibility and potential reach of the information, Housing Plus Group had a fixed idea of what they wanted the report to address but needed assistance in creating the overall concept for an engaging web-based presentation of information. 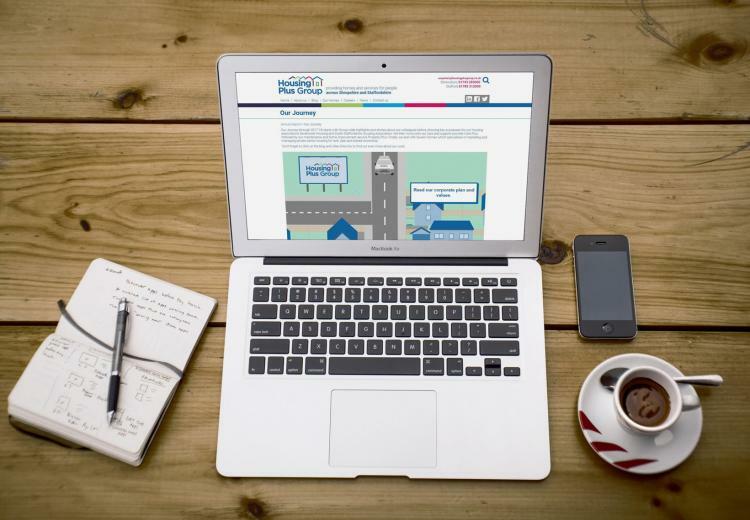 Working with Housing Plus Group, The Web Orchard created the concept of a car travelling through a residential area, stopping off at various points of interest. Telling the 12-month story of the organisation through a bright bold and interactive model, the final design effectively engages the viewer and displays the information in a unique and effective way. “It was the first time as a group that our annual report was completely digital. We are delighted with the results with thousands of views within weeks of launch. It was an absolute joy working with Web Orchard who did a first-class job of delivering what was in our heads.” Ben Payne, Marketing and Communications Manager at Housing Plus Group.